ZEN 2 starter Module Online-Measurement Hardware License Key Module to perform interactive measurements in online images - Interactive measurement tools can be used in an online image - Measurement tools will be copied from the online image into the acquired image. - Measurement values can be extracted from the online image into a data table. 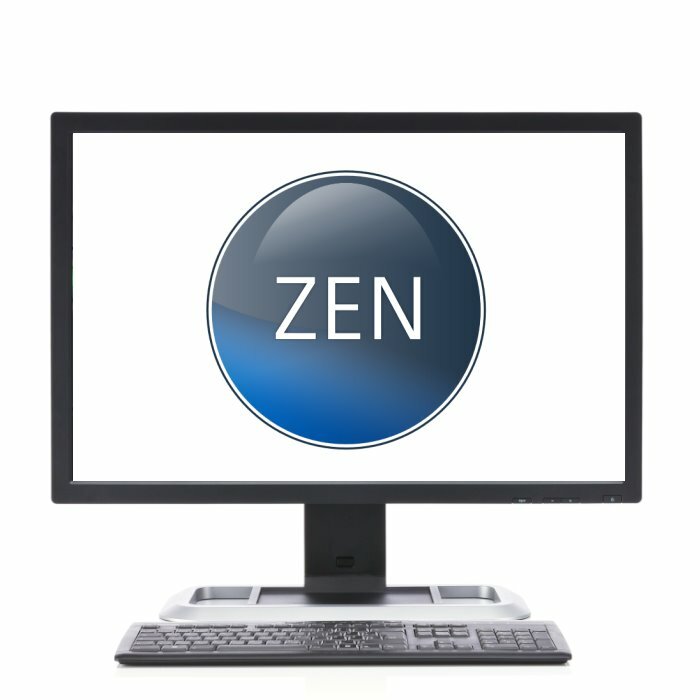 ZEN Module Online-Measurement Hardware License Key Module to perform interactive measurements in online images - Interactive measurement tools can be used in an online image - Measurement tools will be copied from the online image into the acquired image. - Measurement values can be extracted from the online image into a data table. ZEN Module Comparative Diagrams Hardware License Key Module for comparing micrographs with comparative charts (Wall Charts) - Separation into supervisor and user mode - Creation and administration of workflows (job templates) for customer specific requirements - Archiving of all measurements and generated data - Two options for Image sources: life mode, stored data - Comparison with one, two, four or eight Comparative Diagrams in one view - Overlay possibility of image and chart for direct comparison - Optional storage of images and data tables for documentation purposes in the archive - Creation of reports in Microsoft Word and Export in docx, pdf and xps - Creation and free customizing of all report templates with Microsoft Word Add-In - Creation and free customizing of all input forms with new form designer - New loop function in job mode for higher efficiency in repetitive procedures - Newly designed Result View for better monitoring of results - Provided standards: - Grains: DIN EN ISO 643:2012; ASTM E 112-13 Plate I - IV; GB/T 6394 2002 - Non-metallic inclusion (NMI): ISO 4967:2013; GB-10561; EN 10247:2007, ASTM E 45:2013; DIN 50602:1987 - Graphite: EN ISO 945-1: 2008 + Cor. 1: 2010 - Chart Series Creator: Functionality for generation of customer specific charts Additional information: - The license of the Comparative Diagrams (Wall Chart Images) from the standards is included in the product. - The particular standard license has not to be present on the customer's site any longer. ZEN Module Motorized Extended Focus Hardware License Key Module for calculating images with no limitation of depth of field. - Definition of the Z-stack in ''Start/Stop'' mode - Minimum increment of 10 nanometers can be set (depending on acquisition system). - ''Optimal'' button to automatically set the correct increment to satisfy the Nyquist criterion - Integrated Z-drive backlash compensation for maximum precision and reproducibility. - Size of the configurable Z-stack and number of possible Z-planes only limited by the travel range of the system and the minimum increment. - Extraction of the sharp details from individual images at various focus positions and combination into an image with high depth of field. - Wavelet algorithm allows use in transmitted light and reflected light. ZEN Module Confocal Topography Hardware License Key Module for analysis of surface data and visualisation of measument results.